Ballater Walking Festival offers a programme designed for walkers of all capabilities from Munrobagging to pleasant rambles. Each walker can choose to take part in whatever grade of walk they feel suits them best and can participate on as many as six days or as few as one. Most of the walks are situated within the Cairngorms National Park, though a few enter parts of West Aberdeenshire or the Angus Glens which border the Park. Each day, three categories of walk are available: Easy, Medium and Strenuous. 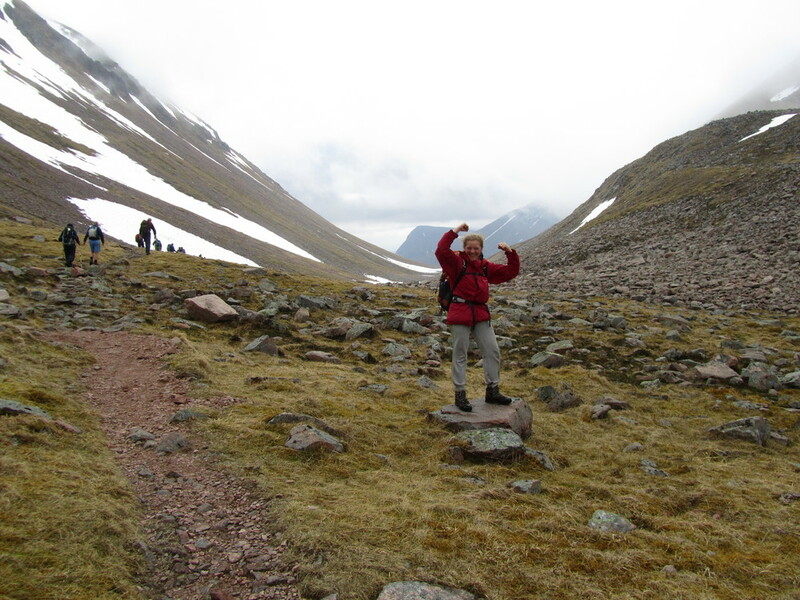 Easy walks are up to six or seven miles long and normally have a minimum of gradient; Medium walks typically measure around ten to twelve miles and may include some substantial hills or the occasional Munro. Strenuous walks either include several hundred metres of ascent or are of considerable length. A professional mountain guide normally leads the Strenuous walks. Other walks are led by local residents, full-time rangers from Aberdeenshire Council or Balmoral Estate, many of whom have special knowledge of the wild life, vegetation or local history which they are happy to share with visitors. The Brochure has full details of all of all this year’s walks, starting on 19th May 2019. We have a prototype “Walk Highlights” google map which shows roughly where you will be going. See this map here.